Sound familiar? I’ll admit that I struggled with the “what if” question myself. In fact the reason I held on to a small amount of dinar for the first year or so of this blog is I still considered it possible that they could RV to $.001 or $.002 prior to redenominating so I could still double or triple my money. It has been a slow and painful process for me to grasp the fact that there’s no money to be made here, and plenty to be lost in the worst case scenario. The key to freedom from “what if?” is education. The more I have learned the more confidence I have developed in my decision to sell. If you’ll study revaluations you’ll discover that they’re typically small adjustments of a few %. In fact the largest revaluation in history was about 35%. No currency has ever revalued at 10,000-300,000% like the gurus are talking about. When you point out these facts some people will say “sure, there’s never been a revaluation this big, but there’s a first time for everything right?” Well no, there’s not. There’s not a first time for the sun to rise in the west. It always rises in the east. The key to understanding that is through learning how the solar system works. Once you do nobody will ever be able to convince you that the sun could rise in the west, no matter how good their sources for that intel are. The same is true with currency revaluation. The first thing you need to realize about the dinar is that it is classified as a pegged currency. 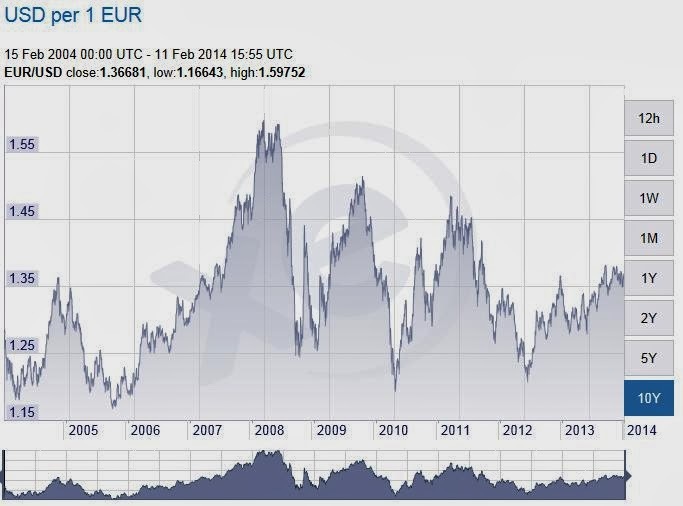 Now as John Jagerson has pointed out, the only truly pegged currency in the world is the euro. The pegged currencies of the oil based economies of the Arab world are “de facto” pegs. In other words they are so tightly managed that they might as well be pegged, but in reality they are managed or “dirty” floats. The way they maintain stability with their exchange rates is through manipulation of the money supply. I wrote about this last year in a post called Dirty Float. Sometimes you’ll hear people in the “Go RV” crowd talking about how Iraq can set the dinar’s value anywhere they want. “After all”, they reason, “what’s backing the US dollar? If the US doesn’t have to back their currency why does Iraq?” The difference is this … the US dollar is a free floating currency. The market determines the value. It’s traded internationally and is used as a reserve currency. The US is considered a very stable country, maintaining the same form of government for well over two centuries now. Its economy is diverse. Its military is strong. Its infrastructure is well developed. Its people are comparitively well educated. These factors generate confidence in the dollar, despite the US debt and sluggish economy. For all of the talk out there about how the dollar is going to crash, the fact is other currencies are losing ground against the dollar. 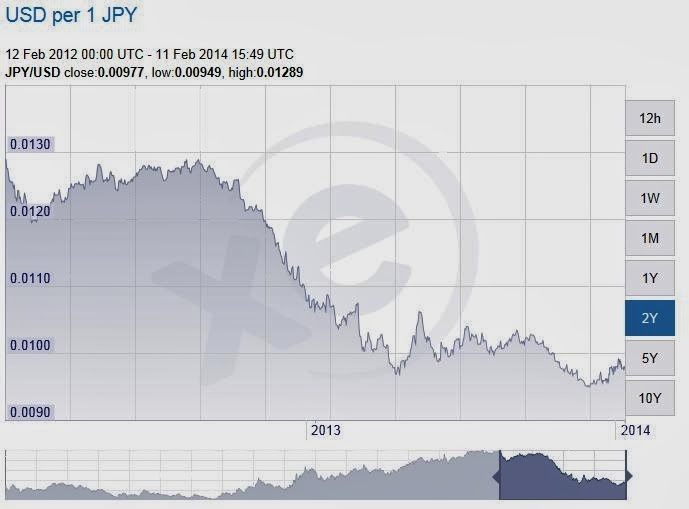 Take a look at the Japanese yen’s valuation over the past two years. It’s down over 25%. 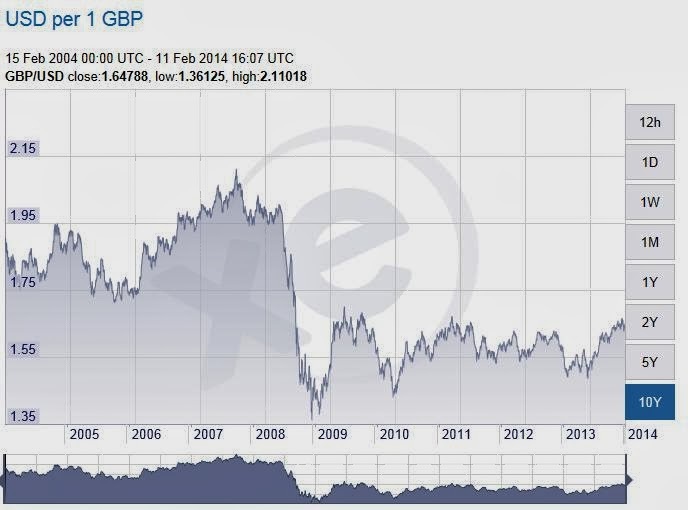 And finally we’ll look at Great Britain’s pound. It also lost ground after 2008. These currency charts show no looming collapse of the dollar. Conspiracy theorists like to talk about the dollar’s demise but in reality other nations like Japan and China don’t want to see the dollar collapse because they need US consumers to buy their products. The dollar will much more likely decline slowly over the years rather than collapse suddenly overnight. Now, getting back to the dinar, there is no such confidence in Iraq’s currency. Their government has only been in existence for ten years. Their people aren’t as educated, their infrastructure isn’t as developed, their military isn’t as strong, and their economy isn’t diverse (it’s 90% oil). In addition they have the constant exposure to terrorist activitiy and sectarian violence. With such an unstable environment there’s no way that a country like Iraq could have a free floating currency, so they back their currency with foreign currency reserves like the other oil based economies of that region. 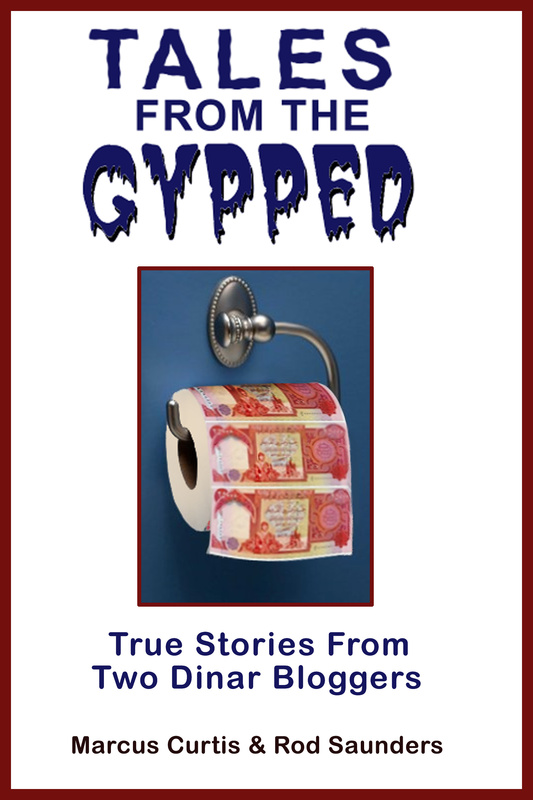 Since their reserves total approximately $80 billion, and their M2 money supply is shown at about 85 trillion dinar, the math doesn’t show any millionaire creating revaluation on the horizon. $80b divided by 85 trillion = approximately $.00094 which is slightly higher than the dinar’s current valuation of $.00086. When you point these things out to some of the overnight millionaire crowd, they’ll start talking about the fact that the world is going back to asset-backed currencies and that a global currency reset is coming, which will allow for Iraq to revalue the dinar to where the old Saddam dinar was thirty years ago. They have to say that the rules are changing you see, because the current rules will keep the value of the IQD about where it is now and the pumpers know that. So in effect dinar speculators are gambling on the fact that this mythical and quite impossible reset will allow Iraq to revalue their currency hundreds of times more than the largest revaluation in history. It’s kind of like saying that somebody is going to change the laws of the universe which will result in the sun rising in the west. Would you risk thousands of dollars on that? This could very well be a moot point anyway, considering that the CBI has announced their intent to redenominate. This is very common with currencies that have depreciated due to hyperinflation as is the case with the dinar. That would leave the IQD with no value at all when the exchange window expires. (For further insight check out my post “RD 101“.) But even if they don’t redenominate, the reality of the de facto peg exchange regime and the financial figures allows for no history making revaluation. If you understand how the solar system works, you understand why the sun always rises in the east. And if you understand how Iraq’s currency’s value is determined, you understand why no big RV is forthcoming. “What if” is now eliminated.